You’re stylish and in the know, and you’ve got the holiday spirit. So wouldn’t you like to know what’s trending in color for this year’s holiday season? Flowers and fashion color trends tend to go hand in hand so we always look to what is trending in fashion to incorporate those colors into our flower design. When it comes to gifting, for yourself or others, remember that flowers are a simply beautiful choice into which this color trend can also be incorporated. 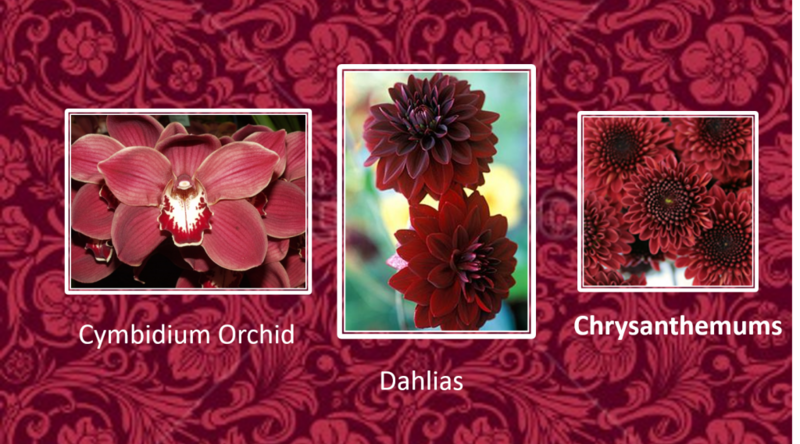 Many varieties of flowers are naturally this deep red shade–garden roses, peonies, orchids, hypericum berries and dahlias, just to name a few. When combined with beautiful seasonal foliage such as evergreens and magnolia leaves, with their gorgeous velvety leather-brown undersides, your bouquet is sure to be a natural beauty, a show stopper! It’s easy for us to incorporate these wonderful images and feelings into our everyday lives, simply through the use of these luscious colors and sparkle through the holiday season and into the new year! The holidays are already upon us! You still have some time to show that you are on trend and on top of your game this season! 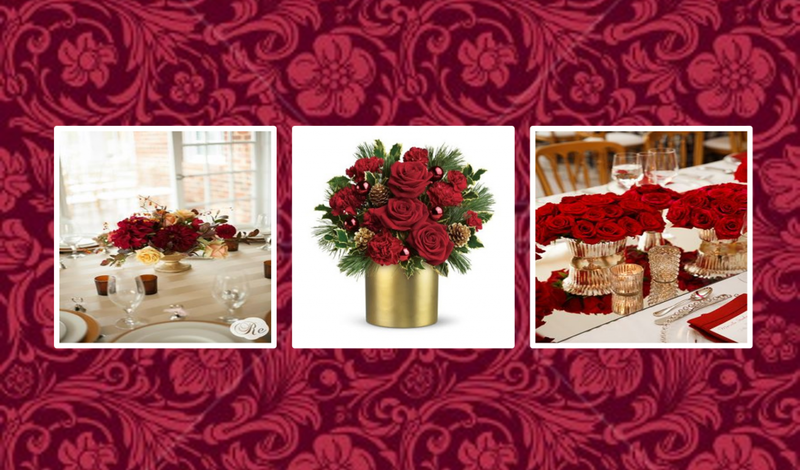 Send a beautiful holiday bouquet or centerpiece to someone you love, and make sure to tell your local florist to include shades of Marsala. – Pantone’s 2015 color of the year and don’t forget to add in a little sparkle! Remember to stop by Texas Blooms Flowers and Gifts and Retreat Nail Bar in the Triangle to see what it’s all about! This entry was posted in christmas, flower delivery, holiday flowers, nail fashion, popular holiday flowers and tagged austin flower delivery, christmas centerpiece, flower delivery in austin, holiday nail colors, local florist austin, seasonal decor, Texas Blooms, thanksgiving centerpiece. Bookmark the permalink.